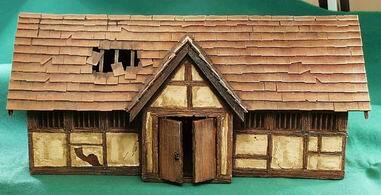 Crystal Caste: The Farmhouse "barn"
Measures 5Â” wide by 11 Â¼Â” long. Double doors swing open and closed on front and back of barn. Back side has attached shed that also has moving doors. Both rooms have a removable roof. Detail is phenomenal! This item cannot be shipped outside of the US.